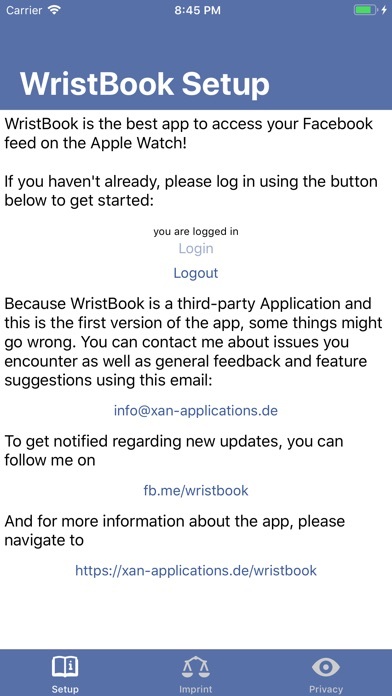 WristBook allows you to read your Facebook feed on your Apple Watch! With WristBook installed on your Apple Watch you can currently: Check your feed to - see posts (even with images!) - see linked content - see the count of unread notifications Open entries in the feed to - see the full post (text, images, and linked content) - like/unlike the post - see comments - add a comment Compose and submit posts - using FlickType keyboard, Emoji, Scribble and Dictation Check your activity notifications to - see who has liked or commented on your posts - see who accepted your friend requests - check group approvals - see event invites - be able to open, like and comment many of those entries - ... ... even without having your iPhone nearby! 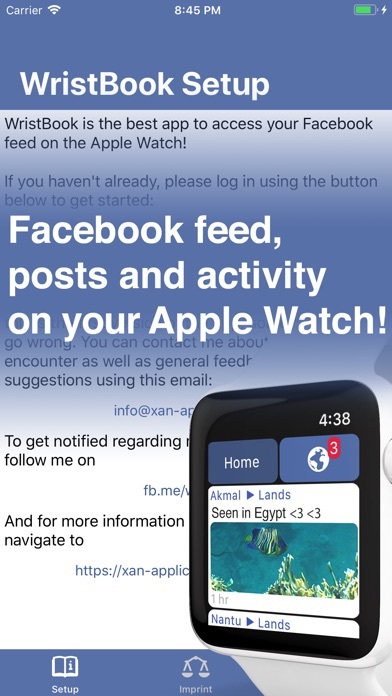 WristBook is entirely compatible to your watch's cellular (LTE) connection :) All you have to do is linking your Facebook account through the official Facebook website and your feed will appear on your Watch! What about your personal data? 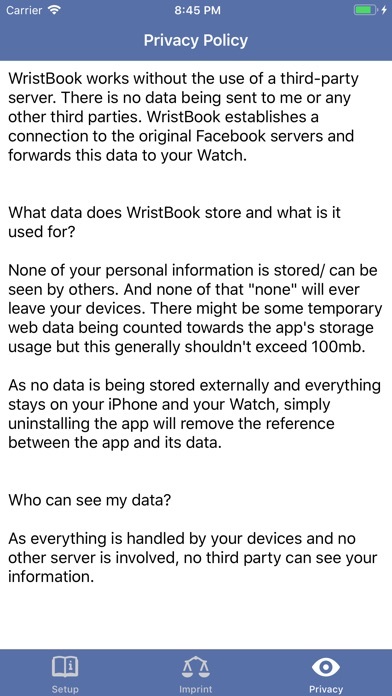 WristBook does NOT breach your privacy in any way. All data is being handled safely: Because all operations are being handled by your iPhone there is no need of a potentially insecure third-party server. 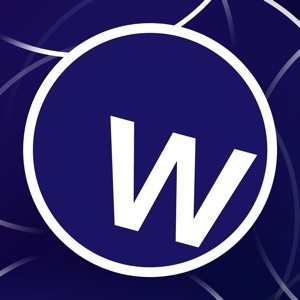 PLEASE NOTE THAT THIS APP IS NOT AFFILIATED TO FACEBOOK INC. 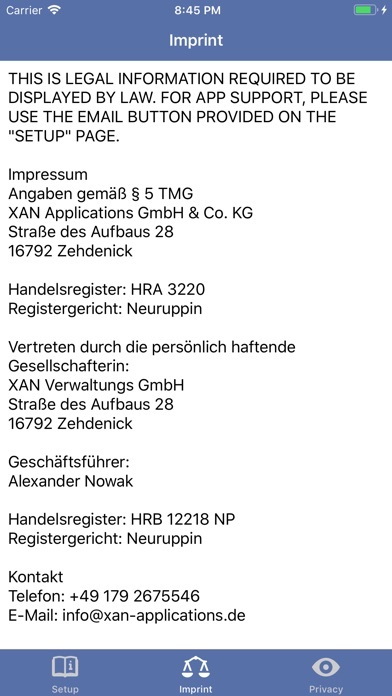 IT DOES NOT MAKE USE OF ANY PRIVATE API'S AND APPLIES TO FACEBOOK'S TERMS OF SERVICE.